Brief: The Design Museum is to host a series of special exhibitions curated and concieved by current designers as a personal response to the inspirations of key designers, writers, design philosophers and thinkers whose ideas have changed the way we look at things. 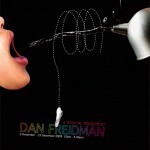 Dan Friedman was my inspiration – internationally known as an artist, teacher, graphic designer and furniture designer. His unique approach to design and his philosophies behind his thinking lead me to produce this Poster and DL sized leaflet. 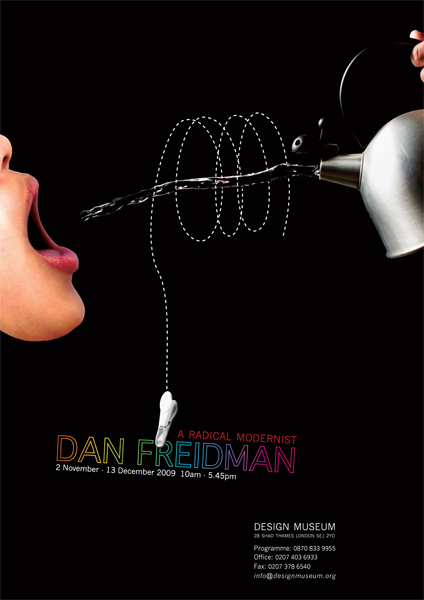 Dan’s “big ideas” came from his notions on re-conceptualizing modernism, to make it more radical in that it would not only accommodate order along with chaos but would embrace a variety of other conditions no longer paired as dichotomies. These ideas were reflected in his ways of presenting problems that typically involved the collision of two overlapping systems.